I am currently coveting the entire women's collection (and part of the men's too!) 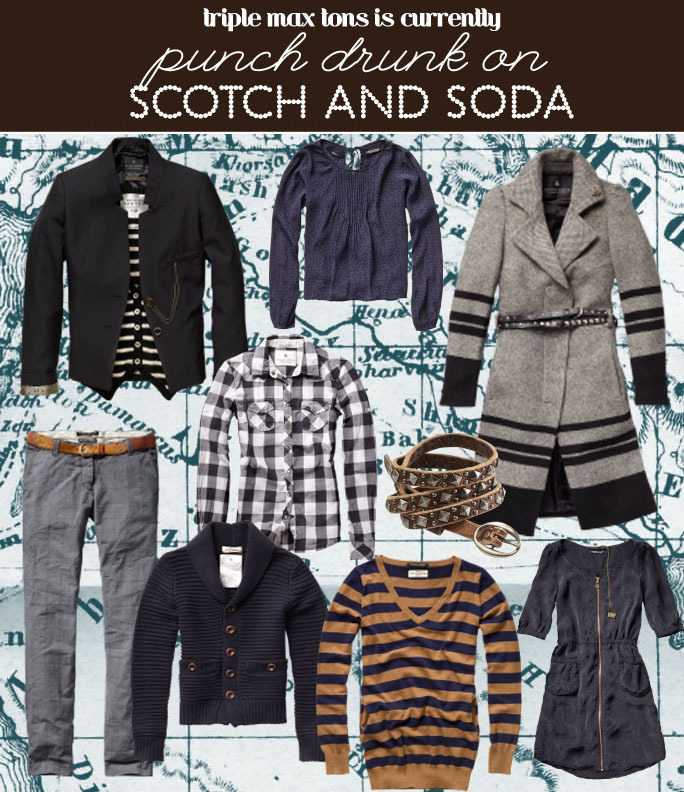 from Amsterdam-based Scotch & Soda...perfectly casual, and a bit rumpled yet refined. I am seriously craving that gorgeous striped wool coat, and the fantastic pointy-pocketed blazer. Took a little gander around Scotch & Soda's online shop, and yay for us a lot of their stock is on sale....I'll take one of each, please! Never heard of it but I like what I see. How have I never heard of this? Love their clothes! I too have never heard of this line but I am LOVING it! Thanks for leading me to them! Oh so gorgeous! Love every single piece- especially the navy zip-up dress! love the striped coat...could use it now! Loving all the picks here!